Saltonstall on August 15, 1939. Courtesy of the Boston Public Library, Print Department. A man to whom public office was a public trust, he served the common weal with great distinction and great devotion for more than 46 years. If “Salty” or “Lev,” as he was affectionately known to countless friends, admirers and constituents, had chosen to run for reelection, there was little doubt that victory would have been his. But he didn’t, since he was not sure he could give his best for six more years. Saltonstall at the American Legion’s 23rd Annual Convention in 1941. Courtesy of the Boston Public Library, Print Department. Before retiring after 22 years in what has been called the world’s most select club, the Republican leader had held the ranking minority role in no fewer than seven Senate committee posts.They included the most powerful in Congress: Appropriations, Defense, Legislative, Armed Services, Preparedness, Small Business and Government Procurement, as well as assignments on nine others. Sen. Saltonstall was first elected to the Senate in 1944 to fill the unexpired term of Sen. Henry Cabot Lodge, who had resigned to join the Armed Forces of World War II. He won by a majority of 561,000 votes, the largest margin ever given a candidate for statewide office. He was reelected in 1948, 1954 and 1960. U.S. 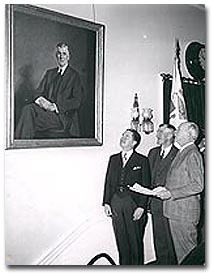 Senator Saltonstall, center, laughingly admires his portrait after it was hung in the State House yesterday beside portraits of nine other former Governors. 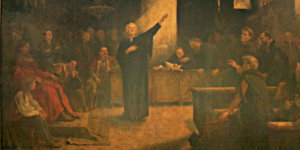 At left is Governor Bradford and at right is G.H. Edgell, director of the Museum of Fine Arts, who was appointed chairman of the state art commission by Saltonstall (February 23, 1947). Courtesy of the Boston Public Library, Print Department. In the Senate, he was known as “a senator’s senator,” possessing the Yankee traits of tidiness, unfailing courtesy and caution, coupled with integrity, modesty, thoroughness, tenacity and a shrewd grasp of political realities. One of the most prompt and faithful of the senator’s attending committee hearings and Senate sessions, he usually preferred to work through the amendment of bills rather than direct sponsorship. His hand touched thousands of pieces of legislation. 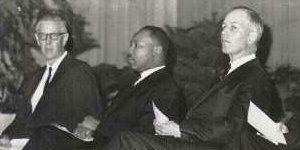 As a leading senator, he was closely associated with such national legislation as Internal Affairs and Aid, Selective Service, Unification of Armed Services, Veterans Benefits, the Marshall Plan, the National Act Against Discrimination in Employment, the National Science Foundation, Child Health, Displaced Persons, Anti-Filibuster, the Cape Cod National Park, NASA, the Atomic Commission and the Nuclear Control Treaty with Russia. Not one of the visibly powerful or flashy men of the Senate, despite his seniority, he made his mark instead as a modest, quiet gentleman with the personal quality of simplicity. 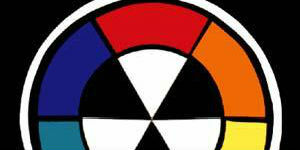 People would do things for him they would not do for a sharper, abrasive colleague. 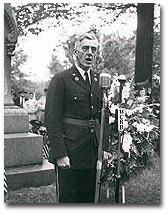 Senator Saltonstall speaks at Memorial Day exercises held in Newton (May 31, 1950). Courtesy of the Boston Public Library, Print Department. No orator—just a good, common, garden variety of speaker who spoke little on the Senate floor—he did his work in committee, where the basic decisions are made. It was a kindly, honest-looking, craggy face with its heavy-lidded blue eyes, long nose, wide-spaced teeth, lean cheeks and jutting jaw all capped by a full head of hair. Some of his admirers regarded his physiognomy as a cross between two other American stalwarts, Presidents Andrew Jackson and Abraham Lincoln. “Oh, God love him, he looks just like a farmer,” we remember overhearing one woman say to another at one of his political rallies. “For beauty I am not a star. In 1938, when they were running for governor, James Michael Curley disparagingly commented that his Republican opponent was “a man with a Harvard accent and a South Boston face.” He wished he hadn’t. A young citizen meets Gov. and Mrs. Saltonstall. 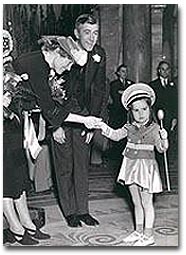 The drum major is Joanna Bleuitt, 4, mascot of the Commander James A. Sawyer club of Brighton (February 23, 194). Courtesy of the Boston Public Library, Print Department. Thoroughly Bostonian and thoroughly patrician, Leverett Saltonstall was born in Middlesex County, Massachusetts to a family deemed the wealthiest in the state. 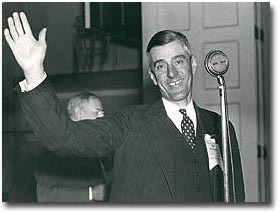 Always sociable and active, Saltonstall rowed and played hockey while at school and built a reputation—as he would as Speaker of the House in Massachusetts, as Governor, and as a senior U.S. Senator—for extraordinary personability. Upon graduating from law school he joined the army as a lieutenant, serving in France but, as he later recalled, seeing “no actual conflict except those following strenuous evenings in Bordeaux and elsewhere.” Saltonstall returned to the United States in 1918 and began to practice law in the following year. 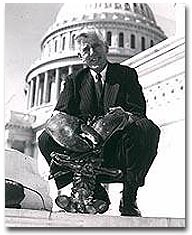 Senator Saltonstall and a lobster in 1961. Courtesy of the Boston Public Library, Print Department. He soon moved ever deeper into politics, winning the election for Alderman of Newton, the town in which he was born, in 1920. Three years later he won a race for Massachusetts State Representative, and his political career took off from there. “Salty,” as he was known in Massachusetts politics, became Speaker of the House in 1926, serving until shortly after a 1936 unsuccessful run for Lieutenant Governor. Saltonstall was President of the Unitarian Club of Boston, a trustee of Massachusetts Eye and Ear Infirmary, and Director of Perkins School for the Blind. 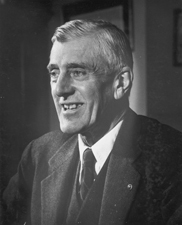 In 1938 Saltonstall accomplished a feat that has always been difficult for Republicans: he defeated a Democrat in the Massachusetts gubernatorial election. His opponent, Boston Mayor James Curley, had seen fit to call Salty “a man with a Harvard accent and a South Boston face.” The label appealed to Massachusetts voters, and Salty’s image of aristocracy coupled with identification with the average Bostonian helped him win reelection in 1940 and 1942. He had a distinguished career as Governor; in his six years in office he lowered the state’s deficit by 92%, mediated a massive teamster strike, and built a reputation for an ability to work well with Democrats and Republicans alike. His social concern remained strong, as well; proof of Irish ancestry gained him admission to the Charitable Irish Society, and he used his power as Governor to establish an interfaith committee to combat discrimination, particularly anti-Semitism. Described as a “liberal Republican,” he was even popular enough to win nomination as chair of a national conference of Governors in 1943. 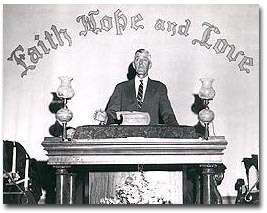 Senator Leverett Saltonstall speaks from pulpit of 1st Parish Church (September 14, 1953). Courtesy of the Boston Public Library, Print Department. When Henry Cabot Lodge resigned from the Senate in 1944, Salty decided to make a bid for Washington. He pulled off what one contemporary journalist called the “political miracle” of winning Boston (and the rest of the district), thus beginning a long and distinguished career in the United States Senate. Politically, Saltonstall tended in some issues toward the more typical Republican stance, and others the more Democratic. He argued for states’ rights, for instance, and often favored corporate rights in antitrust and labor cases. Seen as a moderate by both parties, he also tended to take the typically Democratic positions of favoring foreign aid and international cooperation, and advocated such policies as disarmament, increasing civil liberties, and supporting a minimum wage. 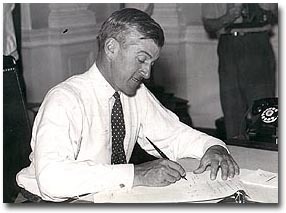 He served on seven committees—Appropriations, Defense, Legislative, Armed Services, Preparedness, Small Business, and Government Procurement—and helped to pass such legislation as the National Act against Discrimination in Employment, the Cape Cod National Park, and a bill for improving children’s access to health care. By all accounts universally popular—or at least not disliked—in the Senate, Salty served as Republican whip, remaining, as one biographer recalled, on speaking terms with all the members of the Senate. Saltonstall in 1966. Courtesy of the Boston Public Library, Print Department. 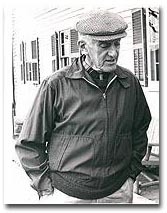 Saltonstall retired from the Senate in 1966; he commented that he “wanted to quit when he was still doing the job rather than just fade away in the Senate.” He returned to his Dover, Massachusetts farm—his old retreat from his days in the State House—with his wife, Mary, whom he’d met in dancing school as a teenager. The farm had always been a sanctuary for the Saltonstalls and their six children, and Salty had always been an avid rider and farmer, reportedly selling 1600 eggs in his penultimate year as Governor. Leverett Saltonstall, descendant of Sir Richard Saltonstall of Colonial Days, was a member of the Unitarian Church in Chestnut Hill as well as of the Dover, Massachusetts Unitarian Church and president of the Unitarian Club of Boston. My family for several generations have been members of the Unitarian Church. I attended Sunday School and then church with my father and mother throughout my childhood. 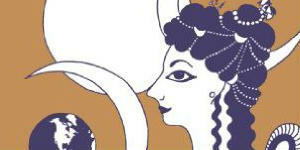 I have always felt that a man’s religion was his personal and private affair. I have the utmost respect for the different faiths professed by my fellow men. 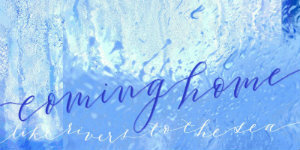 I personally have always found the Unitarian faith a source of comfort and help in my daily life. I have confidence that the Unitarian Church will steadily grow and will help to sustain many of my fellow citizens in these important days that lie ahead of us. SALTONSTALL, Leverett, (great-grandson of Leverett Saltonstall [1783-1845]), a Senator from Massachusetts; born in Chestnut Hill, Middlesex County, Mass., September 1, 1892; attended the public schools and Noble and Greenough School, Dedham, Mass. ; graduated from Harvard University in 1914 and from its law school in 1917; during the First World War served in the United States Army as a first lieutenant 1917-1919; was admitted to the bar in 1919, and commenced practice in Boston, Mass. ; member of the board of aldermen of Newton, Mass., 1920-1922; assistant district attorney of Middlesex County, Mass., 1921-1922; member, State house of representatives 1923-1936, serving as speaker 1929-1936; unsuccessful candidate for lieutenant governor of Massachusetts in 1936; Governor of Massachusetts 1939-1945; chairman of the National Governors’ Conference in 1944; elected as a Republican to the United States Senate, November 7, 1944 to fill the vacancy in the term ending January 3, 1949, caused by the resignation of Henry Cabot Lodge, Jr., but did not assume office until January 4, 1945, after completion of his term as Governor; reelected in 1948, 1954, and again in 1960, and served from January 4, 1945, to January 3, 1967; was not a candidate for reelection in 1966; Republican whip 1949-1957; chairman, Committee on Armed Services (1953-55), Republican Conference (1957-67); trustee and director of several mutual investment funds and charities; resided in Dover, Mass., where he died June 17, 1979; interment in Harmony Grove Cemetery, Salem, Mass. American National Biography; Saltonstall, Leverett. 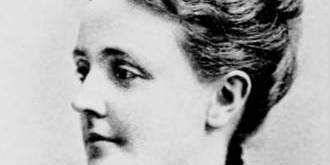 Salty: Recollections of a Yankee in Politics. (Boston: Boston Globe, 1976); U.S. Congress. Tributes to the Honorable Leverett Saltonstall. 89th Cong., 2d sess., 1966. (Washington: Government Printing Office, 1966).